Have a wonderful day friends, and thanks for stopping by! So sweet. Love the doily! Beautiful card Mary Ann! Hope you're doing well :D Have a beautiful day!! This is a cute little card, Mary Ann! Beauty! SO cute Mary Ann!! 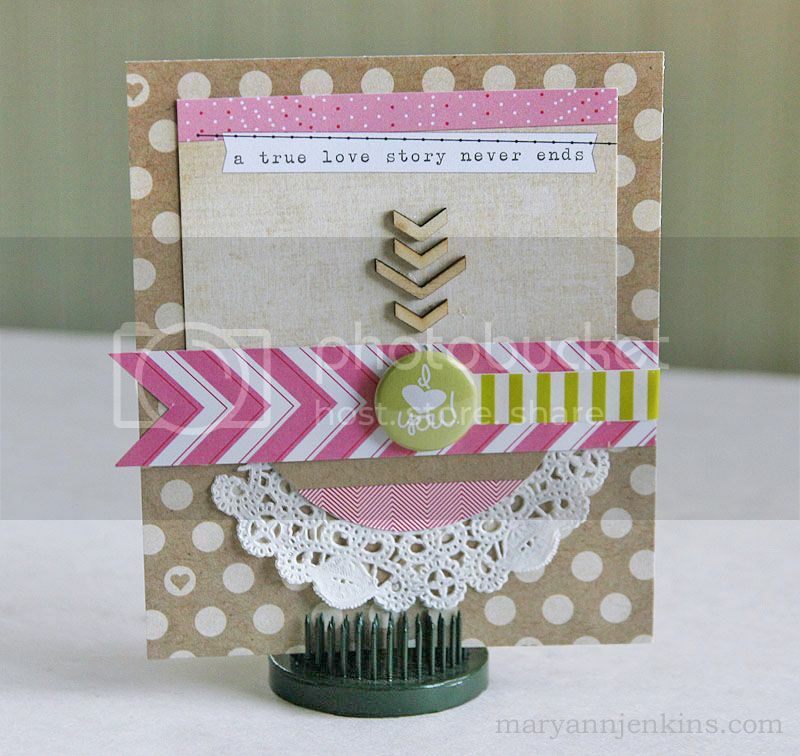 Love how you used the Chevron wood veneers pointing to the cute Flair Button!